Shout Out to My Ex (Steve Smart Epic Edit) - Little Mix. That s What I Like (Partynextdoor Remix) - Bruno Mars. Friends (Feat. Strangers (R3hab Remix) - Sigrid. Paris (Loudpvck Remix) - The Chainsmokers. ). You Wont Be Disappointed If You Love New Deep Bassline House Music. All of the Tunes/Songs on my dj mixed CD's are in the public domain and can be accessed by anyone. All CD's Are Checked Before Dispatch To See If They Work Correctly And Play Correctly. 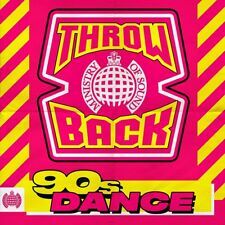 Zoom > Throwback 90s Dance - Various Artists (Box Set) [CD]. (These Sounds Fall Into My Mind) [Johnny 'D' Edit] - Kenny Dope presents The Bucketheads (3.22). 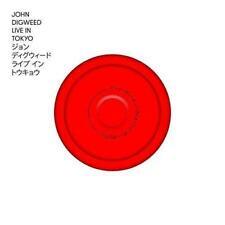 Hideaway (Deep Dish Radio Edit) - De'Lacy (3.26). LOST IN TRANCE. System F - Cry. N - Trance. DJ Jean - The Launch. Delerium ft. Sarah Mclachlan - Silence [DJ Tiesto's In Search For Sunrise Remix Edit]. Ian Van Dahl ft. Marsha - Castles In The Sky [Original Radio Edit]. DJ MIXED CD 2018. 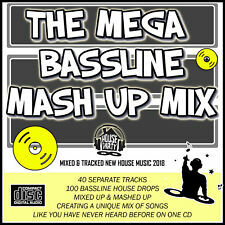 15 JUNGLE / DRUM & BASS Tunes Mixed Together On One CD. You Wont Be Disappointed If You Love JUNGLE / DRUM & BASS MUSIC. MY HEAD IS A JUNGLE. DRUM & BASS. All of the Tunes/Songs on my dj mixed CD's are in the public demain and can be accessed by anyone. Primary Artist: Sigala. Format: CD. Apologies, our mistake! All For Love. What do I do?. John Newman & Nile Rogers). What do I do if I have not received my order?. Sweet Lovin' (feat. We use quality bubble lined bags or boxes to ensure your item arrives intact. I Heard Love Is Blind - Amy Winehouse. DVDs are region 2. On My Mind - Jorja Smith & Preditah. Rhythm of the Night - Hattie Webb. Various Artists : 100 Hits: The Best Dance Album CD (2018) NEW Title: 100 Hits: The Best Dance Album Artist: Various Artists Genre: Dance|Compilation Format: CD / Box Set Type: CD No. of Discs: 5 disc(s) Studio / Label: 100 Hits UK Release Date: 02 Nov 2018. JUNGLE OLD SKOOL. 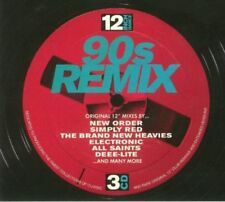 16 CLASSIC OLD SKOOL JUNGLE / DRUM & BASS Tunes From The 1990's Mixed Together In Key On One CD. 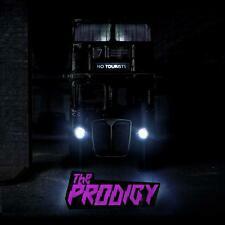 You Wont Be Disappointed If You Love ORIGINAL 1990's OLD SKOOL JUNGLE / DRUM & BASS MUSIC. RARE OLD SKOOL GARAGE VINYL MIX 2018 MIXED CD. 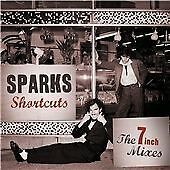 17 Rare Old Skool Vinyl Garage Tunes On One Disc Mixed Together. You Wont Be Disappointed If You Love Old Skool Garage Music. All of the Tunes/Songs on my dj mixed CD's are in the public demain and can be accessed by anyone. Swapping Shepherds Bush for the Hollywood Hills, J and T set up camp in Los Angeles to write and record the album. And what J and T lost in love, they gained in music. For Ever is for real, deeper and higher, more intimate and more expansive, feelgood and, just occasionally, feelbad. OLD SKOOL GARAGE CUTS 2018 MIX CD. 43 Old Skool Garage Tunes On One Disc Mixed Up. You Wont Be Disappointed If You Love Old Skool Garage Music. All of the Tunes/Songs on my dj mixed CD's are in the public domain and can be accessed by anyone. Various Artists : Now That's What I Call Remix CD (2018)Title: Now That's What I Call Remix Artist: Various Artists Genre: Dance|Compilation Format: CD / Album Type: CD No. of Discs: 2 disc(s) Studio / Label: NOW UK Release Date: 23 Feb 2018. Man s Not Hot (Feat. Benediction (Radio Edit) - Hot Natured (3.16). Jumanji - B Young (2.53). We use quality bubble lined bags or boxes to ensure your item arrives intact. Barking - Ramz (3.23). DVDs are region 2. ). Format: CD. Mini gatefold CD. Classic Artists. Important Notice - this is the DOUBLE album, not the common single disk 'In The Club'. Slow Release. Poem Daddy. Cheap Breakfast Special. Shot Gun Shack. Natural Skin Deep. JONAS BLUE. I See Love (Feat. Joe Jonas). Supernova (Feat. Charlotte OC & Dark Heart). Kaskade & Olivia Noelle). We Could Go Back (Feat. Polaroid (Feat. ). This is a sound that dominated and changed dance music for ever. It’s the biggest and best collection of massive dance anthems that you need. David Guetta - Titanium (ft. Sia). Otto Knows - Million Voices. Bought new, listened to once. 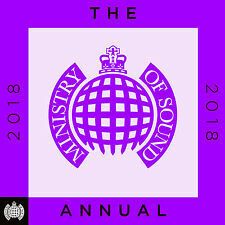 Ministry of Sound - THE ANNUAL 2019 (2 CD NEW SEALED). 5 out of 5 stars - Ministry of Sound - THE ANNUAL 2019 (2 CD NEW SEALED). 6 product ratings6 product ratings - Ministry of Sound - THE ANNUAL 2019 (2 CD NEW SEALED). Electronic Dance Music Floor Fillers Mixed CD. 16 ELECTRONIC DANCE MUSIC TUNES MIXED TOGETHER ON ONE DISC. You Wont Be Disappointed If You Love Electronic Dance Music. All of the Tunes/Songs on my dj mixed CD's are in the public domain and can be accessed by anyone. DEEP HOUSE ANTHEMS - MINISTRY OF SOUND (3CD 2018) NEW SEALED. Freepost In Uk. DEEP HOUSE ANTHEMS - MINISTRY OF SOUND (3CD 2018) NEW SEALED. Freepost In Uk. Please see pictures for details. 15 VOCAL FUNKY HOUSE TUNES MIXED TOGETHER ON ONE DISC. You Wont Be Disappointed If You Love Vocal Funky House Music. All of the Tunes/Songs on my dj mixed CD's are in the public demain and can be accessed by anyone. THE REWORKS. Still Grey (DJ Seinfeld Remix). The Island Pt.1 (Dawn) (Skrillex Remix). The Island Pt.1 (Dawn) (AN21 Remix). Blood Sugar (Knife Party Remix). Watercolour (Matrix & Futurebound Remix). Witchcraft (Pegboard Nerds Remix). NOW That's What I Call Ibiza. Moloko - Sing It Back - Boris Dlugosch Mix 4:38. ♫♫♫ Digital Download ♫♫♫. De'lacy - Hideaway - Deep Dish Radio Edit 3:29. Gala - Freed From Desire 3:13. - Encore Une Fois - Future Breeze Edit 3:40. AS NEW LATEST BRAINFEEDER COMPILATION 2CD 2018 SUPERB. 90's PIANO HOUSE OLD SKOOL MIXED CD. 17 HIGH QUALITY OLD SKOOL PIANO HOUSE TUNES ON ONE DISC MIXED TOGETHER IN KEY. You Wont Be Disappointed If You Love 90's Old Skool Piano House Music. All of the Tunes/Songs on my dj mixed CD's are in the public domain and can be accessed by anyone. THIS IS NEW DEEP HOUSE 2018 MIXED CD. All of the Tunes/Songs on my dj mixed CD's are in the public domain and can be accessed by anyone. 19 NEW QUALITY DEEP HOUSE TUNES ON ONE DISC MIXED TOGETHER. Don't Go (Tee's TNT Radio Mix). State Farm (Madhouse Mix) (Edit). THREE PIECES. Walk Away From Love. and a THIRD CD with 8 CLASSIC, RARE and NEW REMIXES, PLUS TWO ESSENTIAL BBC RADIO ONE SESSIONS from 1982. (Of Discs: 1 disc(s) Studio / Label: Vandit UK Release Date: 21 Dec 2018. Plumb) [PvD Club Mix]. Disc 1 15 Reprise. Disc 1 13 Made of Stars. Disc 1 11 Accelerator. Disc 1 10 Lost Angels. Disc 1 7 Aurora. Palo Santo - Years & Years (4.02). Second studio album by the English dance-pop trio. Sanctify - Years & Years (3.12). Hallelujah - Years & Years (3.4). All for You - Years & Years (3.39). Karma - Years & Years (3.13). THE ANNUAL 2019. VARIOUS ARTISTS. Entirety - Shift K3Y feat. Jackie Chan (Clean Version) - Tiesto & Dzeko feat. Only Can Get Better - Silk City, Diplo, Mark Ronson feat. Electricity - Silk City feat. This is Dave Pearce Trance Anthems. Advanced - Marcel Woods. Fever - The Mystery. Traffic - TiÃÂ«sto. I Feel Wonderful - Cosmic Gate. The Vision - Mario Piu|DJ Arabesque. Clocks - Clokx. Shivers - Armin van Buuren. Chvrches - Love Is Dead - NEW CD Album (Digipak) 2018. Condition is New but not sealed. Dispatched with Royal Mail 1st Class Large Letter. Tiesto – Live @ Tomorrowland (Belgium) – 27-JUL-2018 On Cd. The discs are made from scratch and will not arrive in a hard plastic cd case but in a soft plastic cd wallet. Múm : Finally We Are No One CD (2018)Title: Finally We Are No One Artist: múm Genre: Dance|Leftfield Duration: 56 mins Format: CD / Album Type: CD No. of Discs: 1 disc(s) Studio / Label: Fat Cat Records UK Release Date: 04 May 2018.